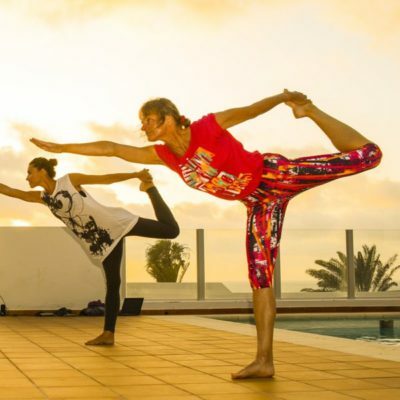 Yoga in Famara - Prepare your body and mind for surfing. To find your Inner Energy, your Power comes and practice with us. 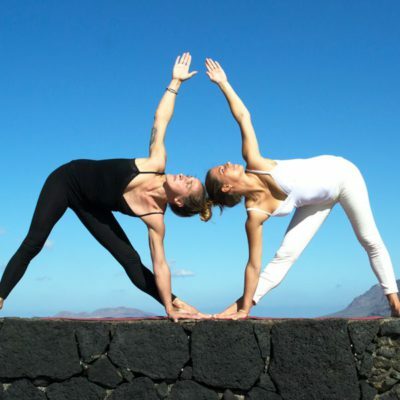 Yoga Lanzarote offers different styles of Yoga, Soft, Hatha Yoga, and Power Dynamic yoga. We offer the practice of meditation every morning at 7 am into the crater of Volcan or in front of the ocean. Our practice stars with breathing exercises or Pranayama, the chant of Mantra to be able to “clean” the energy channels (Nadi) and removed the possible blocks. The scope of such massage is to restore the balance in the organism thus maintaining the physical and mental health and protect the vital areas of the body (marma) upgrading the natural defense. The treatment happens in a calm and quiet atmosphere, adequately heated and illuminated from the tenuous light of candles, perfumed from essences and incenses and overflowed from the spirituality of mantra and it lasts approximately 60/80 minutes. This ancient art of massage activates the blood circulation, strengthens the muscles, has beneficial effects on the vertebral column, brings positivity in the psychological state of the patient, calms the nervous system, acts effectively towards problems such as insomnia and anxiety.